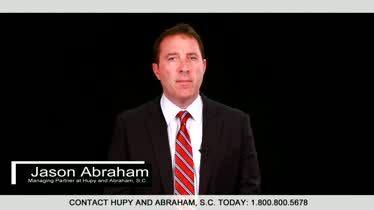 Slip and Fall Injury Lawyers in WI, IL & IA | Hupy and Abraham, S.C.
After you’ve been hurt in a slip and fall accident, you need to take action right away to protect your rights. 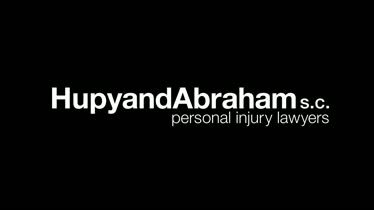 Our experienced injury lawyers have more than 200 years of combined experience and have helped more than 70,000 injured people. We can use that experience to help you by thoroughly evaluating your claim, advising you of your rights, negotiating with the right insurance companies, and, if necessary, representing you in court. Throughout your case, we will make sure that you are treated fairly and kept fully informed about what is going on. We will fight tirelessly to obtain the financial recovery you deserve. You can hire us with confidence—we offer our WIN or it’s FREE guarantee to every accident client. Stop and assess the situation immediately. You may be embarrassed, and your instinct may be to leave the scene of your fall as quickly as possible. Before you leave, however, it is important to note any condition that may have made you fall, to take pictures of that condition and your surroundings, and to write down the names and contact information for anyone who saw you fall. Once property owners are informed of your fall, they may quickly fix any property defects that caused your fall. Accordingly, it is important to document everything as soon as you can. If you feel any pain or see any evidence of an injury, you should get emergency medical attention. Otherwise, you should see a doctor as soon as possible. Some serious injuries may not be immediately apparent. A prompt diagnosis and treatment plan may be very important to your physical and financial recoveries. Many businesses and public places have specific accident report forms. You should complete the appropriate form after a fall. Call an experienced slip and fall lawyer. A lawyer can answer all of your questions and make sure you are taking the right steps to protect your legal rights. Do not let financial concerns influence whether or not you call an injury lawyer. When you call our experienced slip and fall injury attorneys, we will schedule a free consultation with you and offer you our WIN or it’s FREE guarantee. Refer property owners, managers, and insurers to your attorney. Property owners, property managers, and insurance companies want to pay you as little as possible for your injury. Talking to them can be stressful and potentially harmful to your case. However, once you let them know that you are represented by counsel, they will ask questions of and negotiate directly with your slip and fall lawyer. 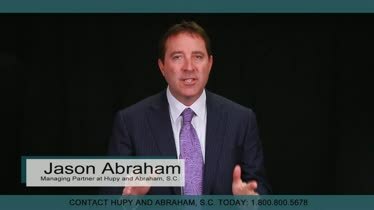 Our clients recognize the time and devotion that Hupy and Abraham lawyers put into each case. Adam S.
Learn about our slip and fall attorneys directly from the clients whom we have already represented. Browse more than 300 Google reviews and 500 website reviews to find out what our clients say about our Wisconsin, Illinois, and Iowa personal injury law firm. A slip and fall accident can happen anywhere, and our lawyers are here to help you if you’ve been hurt in Iowa, Illinois, or Wisconsin. We have 11 conveniently located offices throughout the three states. This includes offices in Milwaukee, Appleton, Green Bay, Madison, and Wausau, Wisconsin; in Bloomington, Gurnee, and Rockford, Illinois; and in Cedar Rapids, Des Moines, and the Quad Cities, Iowa. However, if you can’t come to one of our offices, we will gladly come to you. We have secured more than $1 billion on behalf of our injured clients. Here, we invite you to read about our most recent slip and fall accident case results. We invite you to call us or fill out our online contact form as soon as possible after your fall injury so that we can schedule your free, no-obligation consultation with an experienced slip and fall accident lawyer.